Home › Blog › What actually happens at film festivals? Some of the most prestigious film festivals include Sundance, Cannes, Toronto International, Berlin International, and International of Rotterdam Film Festival. There are also many local festivals, especially in the Southern California area due to the proximity of Los Angles. But what actually happens at a festival? Did you know that film festivals showcase more than just movies? They provide workshops, discussions, and panels to help artists develop and enhance their skills. It’s also a great way for artists to receive feedback on their work and how they can improve upon their skills. What a great opportunity. And, fortunately enough, the opportunities don’t end there. Film festivals are also opportunities for up and coming artists to get their name in the industry with their on-screen pieces. Plus, artists can potentially increase demand for their film by working with distributors at these events. The opportunities for filmmakers are virtually limitless. Sundance Film Festival is most revered for identifying promising directors. Most directors that win are later nominated for Oscar’s. Alongside the prestige, Sundance Film Festival also offers cinematographers the prospect of striking a deal with the many film distributors it attracts. Similarly, Cannes Film Festival appeals to interested buyers. This festival, however, admits solely through invitation, making the festival more selective and competitive. The Festival also provides programs for newcomers to develop their skill hosted by successful directors—a wonderful learning experience. Most of the esteemed film festivals administer panels and workshops to enhance technique, including Berlin International. This film festival is the largest in the world, and screens all genres—averaging about 400 films per year as compared to a mere 120 films screened by Sundance. 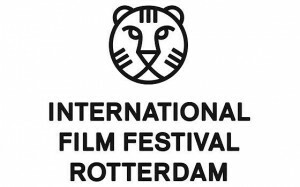 The International Film Festival Rotterdam, too, is a large scale event, as it receives over half a million attendees each year. IFFR is renowned for seeking emerging artists and providing financial support for filmmakers from developing countries. Their two branches, CineMart and the Hubert Bals Fund, help fund films and allow filmmakers to finish what they previously could not have. And lastly, there is Toronto international Film Festival. Toronto International is best known for showcasing many international features and even launching independent productions. On top of these great opportunities, the festival provides accessibility to marketers and press—another way for artists to advance their career. As you may see, film festivals have a wide variety of occasions for artists to gain more insight into filmmaking and to network with interested buyers. It also helps establish your name in the film industry. With so many opportunities available, it’s important for young filmmakers to check them out. Most festivals include international, drama, feature, short film, and documentary films—but accepted genres may vary with festivals. Some festivals cater to only one category since each one is so expansive. If you are interested in submitting a film to a festival, make sure to look into the genres before submitting your film. If you do submit your film to a festival, who knows, you could win an award. Receiving an award not only provides you and your film public recognition and media coverage, but it also provides prestige. Additionally, distributors and buyers are more inclined to approach award-winners. Films can really get you very far. But be patient with the process. Dedication will get you to where you what to be. And next thing you know, you’ll be walking down the red carpet with flashing lights and crowds to greet you as you walk in. And when you turn, fans will be calling your name from every direction. You’ll be the next big thing.